Bourban, single-malt, whiskey, or whatever your poison may be, the rules of the taster’s game might need a bit of tinkering to get the right amount of flavor from the water of life without that watered-down feel. 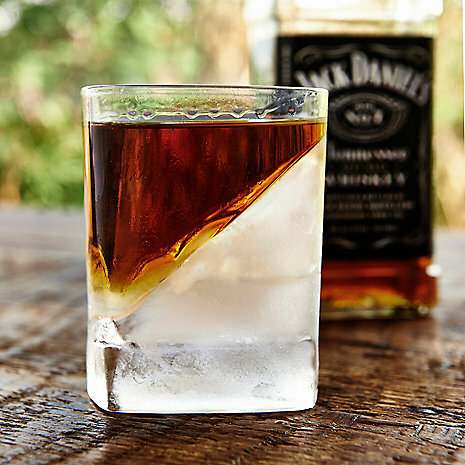 I happen to like a few rocks here and there, but when you get out the Gold or the Blue [Johnny Walker], I might want to get the balance right to pursue that proper taste of glory in a cup. 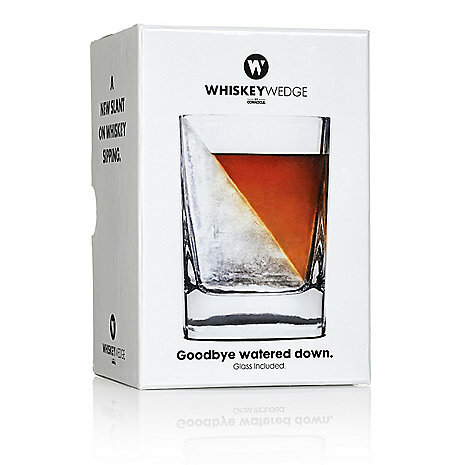 Anyway, the Whiskey Wedge ($15) is designed by some clever drunkards at Corkcicle to alleviate that right amount of chemical balance by allowing you to chill an ice wedge with an enclosed mold that attaches to the wall of the glass to provide the right amount of chill with the least amount of surface area and friction. Sounds pretty technical, but it is just a piece of glass and plastic.